Limited Edition stein of only 5,000 pieces worldwide. 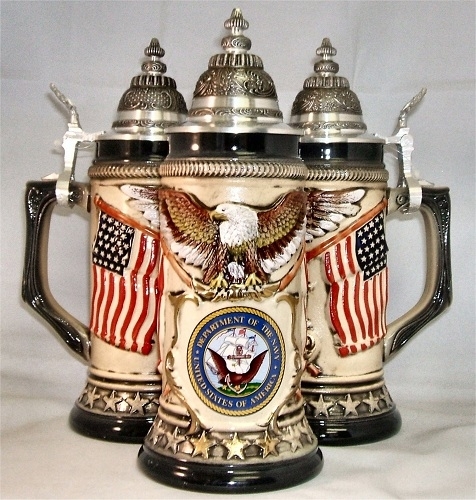 This German beer stein features a decal of the U.S. Navy that reads Department of the Navy United States of America. Above the decal is a hand painted relief of an eagle with an American flag on each side.